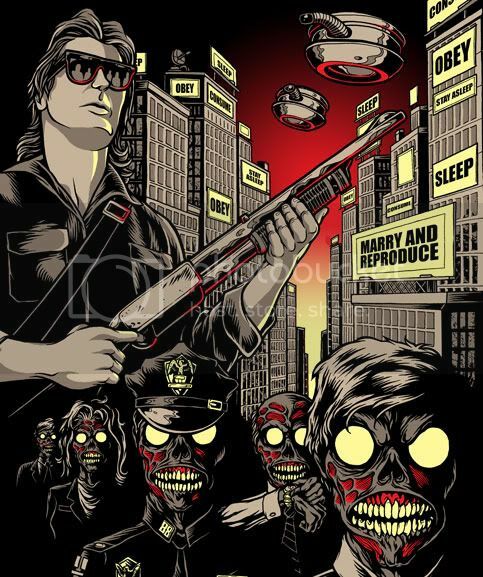 Fright Rags - They Live! Did this for Fright Rags a while back, as part of a series of blogs on design process. At each point of my process, four or five different concepts were posted, and Fright Rags fans were allowed to vote on which one they wanted to see most on a tee. Its kinda cool to go back and see all the changes the design went thru during the voting process. 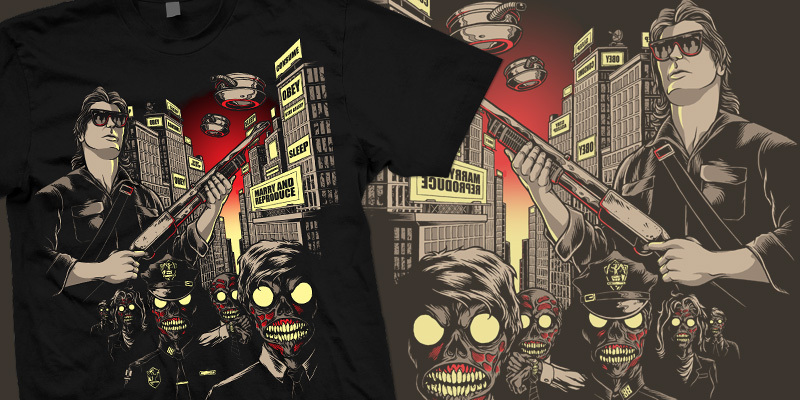 Its only available to Fright Rags newsletter subscribers, but I was given permission to post the secret link for emptees folks. This is awesome. I love the text, but I kinda would've liked it better if it was on the front (; Love this anyways! Sam Montana said: This is awesome. I love the text, but I kinda would've liked it better if it was on the front (; Love this anyways! thanks! yeah, i liked the text on the front, and the blue and pink one best, but you cant argue with the fans! This one with front text would be COMPLETELY AWESOME in my opinion. But anyway this is so great! I think his color is fine, awesome work! haha actually the blue is one of the multiple colorways i came up with for the voting process..